We all know that in ordinary life we write down some things for temporary use and others for very long-term use. Well, for followers of Christ, there's certainly one book that will never grow obsolete: the Bible. Generation after generation, the people of God have cherished the Scriptures — and we should, because the Bible has a lot to say about living for God in every place and in every age. Jesus looked at the Bible as the Word of God that would remain the standard for God's people until all is accomplished. And as his followers, we do the same. This is the seventh lesson in our series He Gave Us Scripture: Foundations of Interpretation, and we've entitled it "Applying Scripture." 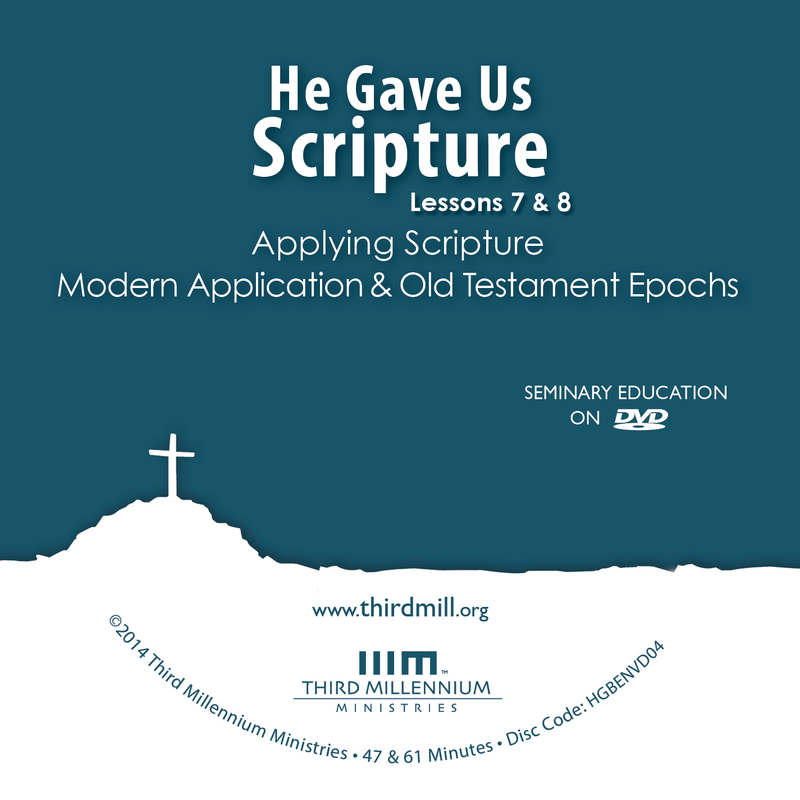 In this lesson, we'll suggest some approaches to application that are very useful in making the original meaning of Scripture relevant for modern audiences. Appropriately connecting the original meaning of a biblical document to contemporary audiences in ways that impact their concepts, behaviors and emotions. Now, the process of application isn't always easy, because we have to account for significant developments that have taken place between the times when the Bible was written and our own day. But the goal of the process of application is the same now as it was when Scripture was first written: to impact the concepts, the behaviors and the emotions of God's people according to the will of God. The most important distinction we can make between original meaning and application is that our investigation of original meaning focuses on the impact Scripture was intended to have on the concepts, behaviors and emotions of its first audiences. But the interpretive process of application is concerned with how the modern audience should be impacted on all these levels.  The original meaning of the text is critical to our application because it's the inspired and authoritative meaning of the text. So, the proper modern application of a text must always be faithful to its original meaning. At the same time, our modern applications also have to go beyond original meaning in some sense, because they have to take into account modern times, cultures and individuals. Our discussion of the process of application will touch on three issues: First, we'll consider the necessity of application. Second, we'll examine the connections between the original meaning and modern audiences that make application possible. And third, we'll take a look at some of the major developments that have taken place between the times when the Bible was written and life today. Let's begin with the necessity of application. Get rid of all moral filth and the evil that is so prevalent and humbly accept the word planted in you, which can save you. Do not merely listen to the word, and so deceive yourselves. Do what it says. Anyone who listens to the word but does not do what it says is like a man who looks at his face in a mirror and, after looking at himself, goes away and immediately forgets what he looks like. But the man who looks intently into the perfect law that gives freedom, and continues to do this, not forgetting what he has heard, but doing it — he will be blessed in what he does (James 1:21-25). James taught that it's not enough to know what Scripture says. In order to benefit properly from Scripture, we have to be impacted by it; our concepts, behaviors and emotions have to be changed. This kind of application is absolutely necessary for every believer if we want to receive the blessings of God. But what about the process that leads to this result of application? Is it really necessary to exert the effort to determine how our concepts, behaviors and emotions should be impacted? In the context of this chapter, Paul was reminding the Corinthians that the books of Exodus and Numbers told stories about the judgments that the Israelites of the Exodus suffered because they had rebelled against God. And in this verse, he took the necessary steps to apply these stories to the church at Corinth. Paul applied the Old Testament stories to the New Testament church both by taking into account connections or continuities between the original audience and his Corinthian audience and by considering developments or changes that had taken place between Moses' day and his own day. On the one hand, Paul connected the two audiences by urging that these stories "were written down as warnings for us." It wasn't difficult for Paul to make this connection. Exodus and Numbers had originally been written for the second generation of the Israelites of the Exodus from Egypt. They were written to warn these people not to repeat the failures of the first generation. So, Paul focused first on a similarity between the Corinthians and the original audience: the Corinthian church was in danger of failure. So these stories warned them just as they had warned the original audience. On the other hand, Paul qualified his application by noting important developments that had taken place since the time of Moses. Israel's failures happened to the first generation Israelites, but they were written down for Paul's audience and all other believers. The scriptural record turned the Old Testament experiences into examples and warnings for the church, "on whom the fulfillment of the ages has come." The expression "the fulfillment of the ages" is one of many ways New Testament writers distinguished the period of the New Testament from the period of the Old Testament. With these words, Paul acknowledged that the Corinthians had the benefits of developments in redemptive history that the original audience of Exodus and Numbers did not have. The Corinthians were living over 1,000 years after Moses. They weren't on a journey from Egypt to Canaan like the original audience; they were on a journey to the new heavens and new earth. The fulfillment of the ages had come on them. As a result, Paul's application for the Corinthians had to account for those developments. And Paul highlighted these differences throughout the rest of 1 Corinthians 10, where he warned the Corinthians not to fail in their personal Christian lives or in their relationships in their church. Paul's application of the Old Testament books of Exodus and Numbers to the Christians in Corinth reflects the basic process that takes place every time we apply the Scriptures. Application must always take into account both the connections between original and modern audiences and the developments that have taken place between them. We need to recognize these connections and account for these developments if we're to make appropriate applications of the Scriptures to our lives today. Now that we've seen the necessity of application, let's turn our attention to the many connections or continuities between the original readers of biblical books and modern audiences. It's the connections or continuities between ancient and modern audiences that make biblical texts relevant for modern people. And there are countless ways to describe these continuities. In this lesson, we'll divide these connections into three main categories. First, we'll see that both audiences have the same God. Second, they live in a similar world. And third, they're the same kind of people. Let's look at each of these categories, beginning with the fact that both audiences have the same God. The Scriptures are clear that there is only one God to whom all audiences of Scripture owe their loyalty and obedience. And as traditional Christian theology teaches, God is immutable, meaning that he doesn't change. Since God is immutable, and since loyalty and obedience to him are universal obligations, there are strong connections between the impact Scripture was intended to have on its original audience and on its modern audience. The biblical concept of divine immutability doesn't imply that God is inactive. In biblical terms, an inactive god is a worthless idol. But the God of Scripture is constantly interacting with his creation in real and meaningful ways. Traditional Christian theology has rightly insisted that there are three critical aspects to God's immutability. First, God's eternal counsel, or ultimate plan for history, is immutable. He chose us in [Christ] before the creation of the world… In [Christ] we were also chosen, having been predestined according to the plan of him who works out everything in conformity with the purpose of his will (Ephesians 1:4, 11). Paul made it clear that God has a plan that covers everything. And this plan has existed since the time when he "chose" or predestined believers to salvation. Of course, different traditions interpret the concept of predestination differently. But what is beyond question is that God predestined before he even created the world. Predestination was just part of his eternal counsel. And this counsel is immutable because God causes everything to conform to it. The immutability of God's plan assures us that if we look closely enough, God's ways in ancient times accord with his ways today. At some level, God's will for his ancient people and his will for us are similar because they both fit within his one immutable purpose for his creation. In the second place, God is also immutable in his character. His essence, persons and attributes never change. The Father of the heavenly lights, who does not change like shifting shadows (James 1:17). God's immutable character helps us see that there will always be significant connections between the original meaning and modern application of Scripture. When a particular passage spoke about one divine attribute, the original audience was always expected to understand that attribute within the context of God's other attributes. In much the same way, modern audiences are expected to apply the emphases of every Scripture in ways that never disregard any of God's attributes. For this reason, the immutable attributes of God always form a measure of similarity between original meaning and modern applications. In the third place, God is unchanging or immutable in his covenant promises. God will fulfill everything he has ever sworn in covenant. God is not a man, that he should lie, nor a son of man, that he should change his mind. Does he speak and then not act? Does he promise and not fulfill? (Numbers 23:19). When God promises, his word is immutable. Otherwise, he's free to change his mind. Consider Genesis 15 where God said he would make Abraham's offspring as numerous as the stars. Abraham was thankful for this offer, but he still asked God to make the blessing certain. So, God responded by making a covenant with him. In cases, though, where God hasn't made a promise, his words are best understood as threats of curse and offers of blessing. For instance, recall that in the book of Jonah God threatened to destroy Nineveh, but then he relented when its people repented. Without question, God changed his mind about destroying Nineveh at that time. But he didn't break any promises when he spared them. Covenant promises are those things God has sworn to do by covenant oath. Every revelation of God in Scripture assumes that God will keep his covenant and his covenant promises. The original audiences were supposed to understand every passage of Scripture in this light, and modern audiences should do the same. We should have absolute confidence in God's unchanging promises. And his offers and threats should motivate us to obedience. Now that we've seen that we have the same God as all the first recipients of Scripture, let's look at the fact that we live in a similar world. Throughout the ages philosophers have wrestled with whether the world is stable or changing. Common experience tells us that, in many ways, both are true. God's creation is always changing, but many features of the world have remained constant for every audience of Scripture. When we apply the Scriptures to our day, we need to keep both of these truths in view. There is an old adage that says "history repeats itself," and we understand that current events often resemble events that took place in the past. Like the original readers of Scripture, we live in a world created by God. And though we've fallen into sin, we've also experienced God's redemption. God's faithful people in the Old Testament faced opposition from other people and from demonic powers, and we face similar opposition today. They depended on God's help to overcome; we depend on his help too. We can also see the stability of what we often call the regular patterns or laws of nature. When the Scriptures speak about the rising and setting of the sun, human sickness, the need for food and water, and countless other things, it's obvious to us that we live in a similar world to the one inhabited by the first audiences of Scripture. And even in more specific and narrow ways, we find important parallels between the world of the original audiences of Scripture and our world. For example, the Ten Commandments given to Israel in Exodus 20 provided essential background for the lives of God's people in the rest of the Old Testament. These same commandments were used again to guide the lives of his people in the New Testament. And as Paul taught in 2 Timothy 3:16, 17, these same commandments continue to guide the church today. In a similar way, God's choice of David as the head of a permanent dynasty for God's people provided the historical background for God's kingdom in the Old Testament, as well as the background for Jesus' kingship as the great son of David in the New Testament. And as we learn in places like Revelation 22:16, the church continues to serve Jesus as our King and Lord because of his permanent rule as the Davidic king. As examples like these illustrate, the connections between our world and the worlds of Scripture's first audiences can help us determine the proper modern applications of the Bible. Now that we've seen that all audiences of Scripture have the same God and live in a similar world, let's consider the connections that exist because we're the same kind of people. There are at least three ways in which modern people are very similar to the people who first received the Scriptures. First, all human beings, no matter when or where they live, are sinful images of God. Second, we suffer religious divisions. And third, humanity still includes the same classes of people. We'll explore each of these similarities, beginning with the fact that all human beings are sinful images of God. In passages like Genesis 1:27, we're told that when God created humanity, he created us in his image. Among other things, this means that all human beings are rational, linguistic, moral and religious vice-regents of God. All recipients of Scripture, whether ancient or modern, share the same sinful nature. And in one way or another, the original meaning of every portion of Scripture addressed this human condition. We are all images of God that have been corrupted by sin. Because we share these qualities with all the original audiences of Scripture, these similarities can help us draw meaningful modern applications from every biblical text. Besides being sinful images of God, the original and modern audiences of Scripture are also similar because we both suffer religious divisions. From the time the first Scriptures were inspired, it has always been the case that readers of Scripture have fallen into one of three religious groups: unbelievers, false believers, and believers. Unbelievers are people who make themselves the enemies of God by refusing to submit to him. This division of humanity includes all those who haven't heard of God's special revelations to Israel and the church, as well as many who have. False believers make superficial commitments to God. They may have the external appearance of believers, but they don't have true faith, and as a result they aren't redeemed from his eternal judgment. By contrast, believers are people who make sincere, faithful commitments to God and who are thereby redeemed from sin and saved from God's eternal judgment. In general terms, the modern applications of Scripture to these three religious groups should be very similar to the original applications to these same groups. For unbelievers, the Scriptures were first designed to restrain sin, to expose their lost condition, and to call them to saving repentance; in modern application, we do the same. For false believers, biblical texts were designed to restrain sin, expose their hypocrisies, and call for saving repentance; in modern application, we work toward the same goals. For believers, biblical texts were designed to restrain their sin, to warn against failure, and to lead them toward grateful living in the grace of God; and as modern Christians, we apply the Scriptures toward these same ends. In addition to being sinful images and suffering religious divisions, the original and modern audiences are also similar because the same classes of people continue to exist throughout history. Human beings can be classified in many different ways. For example, we might be classified according to particular traits or attributes we have. Some people are old and others are young; some are male and others are female; some are rich and others are poor; some are powerful and others are weak; and so on. We can also be classified according to our relationships with other people. We might be parents, children, siblings, masters, servants, friends, or just about anything else. Or we can be classified according to what we've done, like heroes and criminals; or according to our jobs, like pastors and farmers. And the same thing was also true of the original audiences of Scripture. In fact, many portions of Scripture are specifically directed toward particular classes of people. We find passages that focus on people who are angry, or loving, or lazy, or repentant, or rich, or poor. We also find passages that specifically address people identified as husbands, or wives, or children, or deacons, or thieves, or employees. Because these same classes of people exist in every age, they form meaningful connections between the original audience and all subsequent audiences. And these connections help guide our application. Ancient and modern rich people can draw similar applications from passages about wealth. Ancient and modern leaders can draw similar applications from passages about leadership. And so on. All our efforts to apply the Bible to our lives can be helped by recognizing that we share these kinds of connections with the first audiences of Scripture. Now that we've explored the necessity of the application of Scripture, and considered some important connections between the original and modern audiences, let's turn our attention to the developments between the original and modern audiences that should influence our application. Many people who carefully read and study the Bible say that it sometimes seems foreign, as if it came from a different world, and there's a very real sense in which this is true. The books of the Bible were written long ago. They were written in languages that most of us don't read, and to cultures that are very different from our own. And our own personal lives are also vastly different from the lives of people in the original audiences of Scripture. So, in one way or another, we need to account for all of these factors when we apply the Bible to modern life. In a later lesson, we'll look closely at specific ways to account for these kinds of differences. So for now, we'll simply identify three major kinds of developments that have occurred since Scripture was inspired, and that need to be considered in our modern application of biblical books: epochal, cultural and personal developments. Let's look first at epochal developments in redemptive history. Christians have frequently summarized the Bible's perspective on world history in three stages: creation, when God first made the world; fall, when humanity first committed sin and was cursed by God; and redemption, the period following the Fall, in which God redeems us from our sin. Soon after Adam and Eve fell into sin, God began a long, slow process of redemption. And throughout the millennia, he has mercifully built his kingdom of redemption within and alongside the cursed creation. Many theologians have recognized that the progressive nature of God's rule over creation has resulted in periodic developments that create discontinuity between the various epochs mentioned in Scripture. Perhaps the most obvious epochal development occurred between the Old and New Testaments. But theologians also commonly identify epochs according to God's various covenants throughout the Bible, especially those associated with Adam, Noah, Abraham, Moses and David in the Old Testament, and with Jesus in the New Testament. For instance, the laws regarding atoning sacrifices required different things at different points in redemptive history. In Moses' time, they required sacrifices at the tabernacle. In Solomon's day, they required sacrifices at the temple. In the early New Testament, they required Jesus death on the cross. And in the later New Testament, they ceased to be offered altogether. In many ways, biblical history is like a growing tree. Every tree grows from a seed, becomes a sapling and eventually develops into a fully-grown tree. Everything that tree will become is contained in the initial seed. But over time the tree has to grow and develop in order to become fully mature. In a similar way, redemption has grown and developed throughout biblical history. And we have to account for these developments as we apply the Bible to our lives. This developmental model teaches us that the whole Bible is relevant and authoritative for us, but also that older revelation must always be applied in light of later revelation. With this understanding of epochal developments in mind, let's explore the idea of cultural developments that distinguish our cultures today from the cultures directly addressed in the Bible. In thinking about the cultural developments between the original and modern audiences of Scripture, we need to recognize both similarities and differences. With regard to similarities, we need to ask questions like "What cultural patterns do we face that closely parallel Abraham's experience?" and "How is our culture like David's?" And with regard to differences, we need to ask questions like "How has human culture significantly changed from the ancient societies of the Old Testament?" and "What customs and practices are different?" The answers to these kinds of questions have important implications for the way we apply Scripture today. Besides epochal and cultural developments, we also need to pay attention to personal developments that distinguish people today from the original audiences of the Bible. There are considerable similarities between the people of the Bible and people living in our contemporary world, but we need to recognize that there are also many differences between modern and ancient people. And if we hope to apply biblical texts properly, we have to take these personal variations into account. For example, we need to ask questions like "How do our personal lives compare with those that we see in the Bible?" "What roles do we have in society?" "What is our spiritual condition?" "How are we serving the Lord compared to this character or that character?" "How do our thoughts, actions and feelings compare to those that we see in biblical writers?" By taking account of the variations between ancient people and modern people, we can better understand how to apply the Bible to the specific circumstances of our own lives. Identifying the epochal, cultural and personal developments between the original and modern audiences of Scripture may be the most challenging aspects of applying the Bible to our times. But if we do it carefully, it will go a long way toward helping us apply the Scriptures in ways that are honoring toward God, responsible toward others, and suitable for our time. In this lesson on applying Scripture, we've explored three basic factors that can help us connect the original meaning of the Bible to our modern situations. We've spoken of the necessity of making modern applications of Scripture. We've discussed the connections between the original and modern audiences that help us determine how to apply Scripture. And we've considered some of the developments that have taken place since the days when Scripture was written, paying particular attention to the ways these developments might obligate us to adapt our applications for contemporary audiences. We always need to remind ourselves that the Scriptures were not written to be set aside by later generations. On the contrary, they were written for God's people to love and obey throughout all of history. And for this reason, the Bible is just as relevant, just as true in our time as it was when it was first written. We have to assess the developments that have taken place between biblical days and our own, but when we do, we can discern the will of God not only for his people in the past, but also for his people living today. Dr. Luis Orteza is Adjunct Professor for Counseling at Birmingham Theological Seminary.